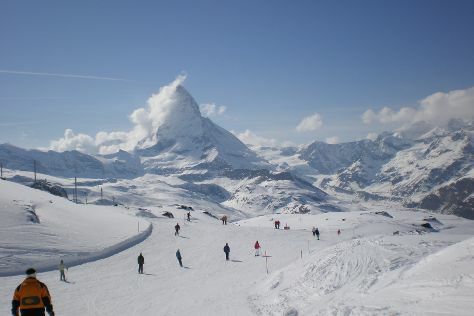 Kick off your visit on the 9th (Fri): fly down the slopes at Matterhorn Ski Paradise, then have fun at Clay Shoot Zermatt, and then enjoy breathtaking views from Sunnegga. On the 10th (Sat), you'll have a packed day of sightseeing: play a few rounds at Golf Club Matterhorn, make a trip to Photopoint Kirchbrucke bridge, then take in the pleasant sights at Hinterdorfstrasse, then stroll the grounds of Mountaineers' Cemetery, and finally examine the collection at Matterhorn Museum - Zermatlantis. To see traveler tips, where to stay, reviews, and more tourist information, read our Zermatt trip itinerary maker site . Singapore, Singapore to Zermatt is an approximately 19.5-hour combination of flight, bus, and train. You can also do a combination of flight and train; or do a combination of bus, flight, and train. Traveling from Singapore to Zermatt, you'll gain 7 hours due to the time zone difference. Finish your sightseeing early on the 10th (Sat) so you can take a train to Bern. On the 11th (Sun), explore the world behind art at Zentrum Paul Klee (Paul Klee Center), get great views at The Cathedral of Bern, then don't miss a visit to Bundesplatz, then enjoy breathtaking views from Gurten, and finally make a trip to Federal Building (Bundeshaus). To find traveler tips, photos, other places to visit, and more tourist information, refer to the Bern holiday planning website . Take a train from Zermatt to Bern in 2.5 hours. Expect a daytime high around 10°C in November, and nighttime lows around 1°C. Wrap up your sightseeing on the 11th (Sun) early enough to drive to Chur. Chur or Coire is the capital and largest town of the Swiss canton of Grisons and lies in the Grisonian Rhine Valley, where the Rhine turns towards the north, in the northern part of the canton. 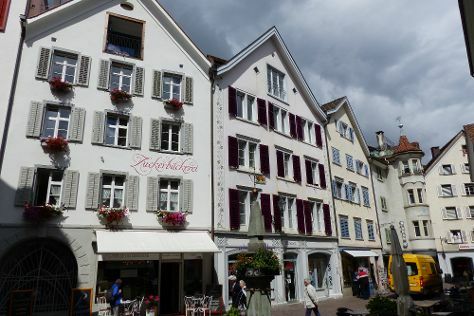 Start off your visit on the 12th (Mon): wander the streets of Heididorf, contemplate the waterfront views at Caumasee, and then make a trip to Old Town Chur. Plan my Chur trip by asking Inpirock to come up with tips and suggestions. You can drive from Bern to Chur in 2.5 hours. Other options are to take a train; or take a bus. 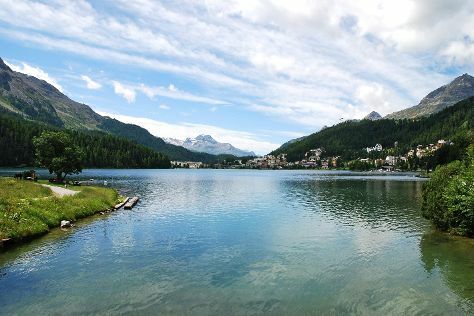 Finish your sightseeing early on the 12th (Mon) to allow enough time to drive to St. Moritz. Kick off your visit on the 13th (Tue): explore the activities along Lake Silvaplana, then explore the activities along Lake St. Moritz, then take some stellar pictures from Muottas Muragl, and finally take some stellar pictures from Diavolezza. You can plan St. Moritz trip in no time by asking Inspirock to help create your itinerary. Traveling by car from Chur to St. Moritz takes 1.5 hours. Alternatively, you can take a train; or take a bus. In November in St. Moritz, expect temperatures between 7°C during the day and 0°C at night. Finish up your sightseeing early on the 13th (Tue) so you can go by car to Zurich. Kick off your visit on the 14th (Wed): explore the activities along Limmat, then stroll through Lindenhofplatz, and then wander the streets of Lindenhof. Here are some ideas for day two: take an in-depth tour of Swiss National Museum, take a stroll through Niederdorf, and then take in the views from Spreuer Bridge. 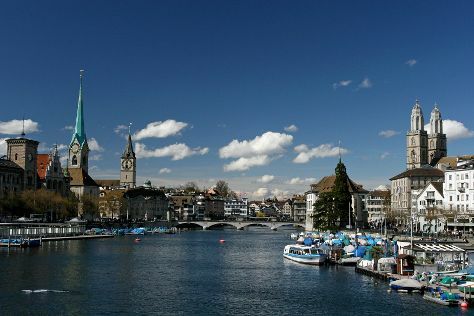 To find reviews, photos, other places to visit, and tourist information, refer to the Zurich online tour planner . You can drive from St. Moritz to Zurich in 2.5 hours. Other options are to take a train; or do a combination of bus and train. In November, plan for daily highs up to 10°C, and evening lows to 3°C. Cap off your sightseeing on the 15th (Thu) early enough to travel back home.